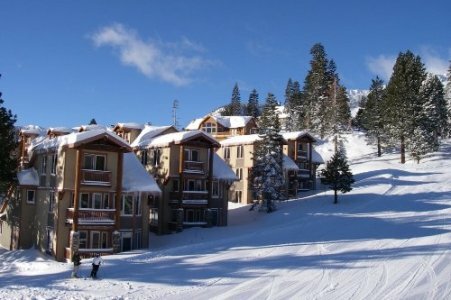 In general, the condos at the Village at Mammoth tend to be selling very well and prices are increasing overall due to limited supply and increased demand. Wells Fargo Home Mortgage in Mammoth is now able to loan on these condos on a “case by case basis”. As lending requirements continue to improve/loosen, property values will more than likely continue to increase for the Village condos, which have been strictly “cash only” for the past few years. 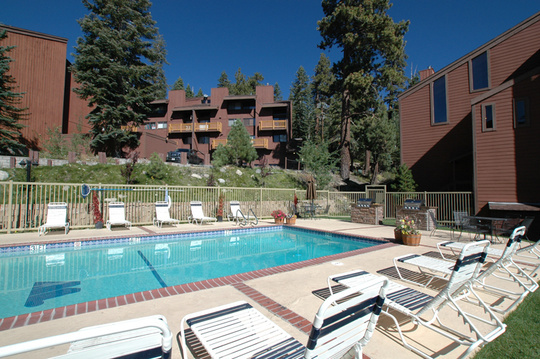 The Village at Mammoth condos produce some of the highest rental income figures in Mammoth Lakes. The on-site rental management (not mandatory) takes 50% off the top of your gross income figures to handle all aspect of the rentals. Upon review of the individual condo complexes and current oversupply of active listings per development, the following have multiple listings: Aspen Creek, The Bridges, Chamonix, Eagle Run, Juniper Springs Lodge, Mammoth Ski & Racquet, Mountainback, Snowcreek I-V, The Lodges, and the Westin Monache. In reviewing the closed sales for each of these condo developments from October 2013 until present, it is apparent that some sellers are listing their properties at higher prices (The Bridges, Eagle Run, Juniper Springs Lodge, The Lodges, and Westin). In addition to the lack of snowfall, higher list prices could also be a contributing factor to the unseasonable growing inventory. Aspen Creek Condos for Sale This complex is located adjacent to Juniper Springs Lodge and is a very short walk to the Eagle Express chair lift. Currently, there are a total of 7 Aspen Creek condos for sale. Out of the 7 listings, 4 are one-bedroom condos priced at $173,900, $235,000, $225,000 and $230,000. There are 2 two-bedroom listings priced at $450,000 and $339,000, and a three & loft priced at $489,000. Closed sales from October 2013 until present have ranged between $158,991 for a bank-owned 1 & loft and $510,000 for a three & loft. The inventory doesn’t seem to be moving very much at the Aspen Creek complex, which could be a good opportunity to pick up a good deal from a motivated seller. Five of the active listings have over 165 days on market. The Bridges Condos for Sale The Bridges condos development is a “ski in, ski out” complex located just above the Eagle Express chairlift on the “Bridges” ski run. Currently, there are a total of 4 active listings at the complex: 2 two-bedroom units priced at $499,000 and $525,000, a three & loft priced at $1,095,000 (modern remodel), and a four & loft priced at $998,000. Closed sales from October 2013 until present have ranged between $405,000 for a 2-bedroom, 2-bath and $730,000 for a bank-owned three & loft. The townhome, which is priced at $998,000, has been beautifully remodeled and offers scenic views to the east. This condo has been on the market for 244 days. I would single out this listing for a potentially great deal as days on market continue to climb. With the right marketing (VRBO.com or AirBNB.com), this unit could produce far greater rental income than it’s currently producing on the existing local rental program. 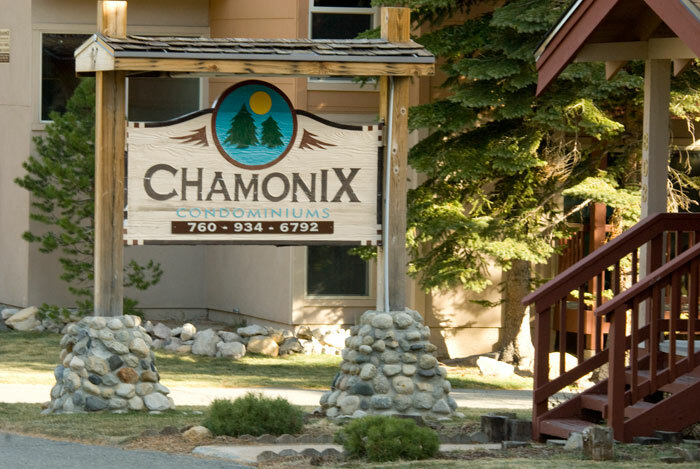 Chamonix Condos for Sale This complex is located very close to the base of Canyon Lodge (a short walk). Out of the 5 active listings at the complex, there is a one-bedroom listed for $189,000, a one & loft listed for $295,000, and 3 two & lofts listed for $420,000, $370,000 and $460,000. Closed sales are ranging between $165,000 for a one-bedroom, $260,000 & $290,000 for the one & lofts, up to $350,000 for a two & loft condo. The townhome floor plans, which are closest to Canyon Lodge, show price support in the $450,000 range with current pending sales. Eagle Run Condos for Sale This “ski in, ski out” condo development located on the ski slopes above Eagle Express features newer construction (built in 2002) with underground parking, and amazing views from many of the condos. There are currently 5 active listings on the market at significantly higher prices than where the last closed sales were a couple of years ago. Out of the 5 listings, 4 are two-bedroom condos listed for $549,000, $629,900, $635,000 and $969,900, and 1 three-bedroom listed for $975,000. Days on market range between 27 up to 154. With the lack of snowfall, the inventory has noticeably increased at this ski in, ski out complex, and prices will need to drop substantially in order to generate serious buyer interest. Juniper Springs Lodge Condos for Sale This condo-hotel development is located at the base of the Eagle Express chair lift. There is a front desk that is open 24-7, an on-site coffee shop, conference room facilities, underground parking, swimming pool, multiple spas and convenient slope side access. Out of the 11 active listings on the market at Juniper Springs Lodge, 7 are one-bedroom units listed between $199,900 (short sale) and $265,000, and 4 two-bedroom units priced between $399,900 and $444,000 (highly upgraded unit). Looking back at the closed sales from October 2013 until present, list prices have definitely increased at this complex (for the 2-bedroom floor plan). Closed sales have ranged between $373,500 and $390,000 for the two-bedroom condos and between $232,000 and $242,500 for the one-bedroom condos. There have been several one-bedroom condos that have listed recently. As the inventory continues to increase, sellers will face increased competition and will be forced to reduce prices (if they need to sell). Since 2009, purchases at this complex must be cash or private money loans due to the “condo hotel” classification. 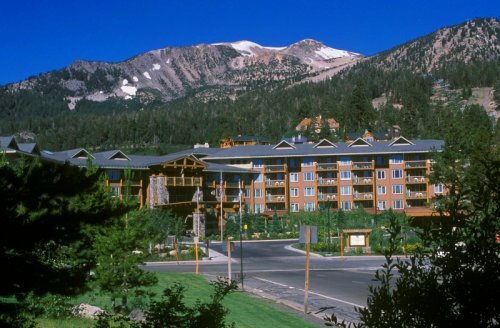 Mammoth Ski & Racquet Condos for Sale This complex is located across the street from the Chamonix condos complex very close to the base of Canyon Lodge. 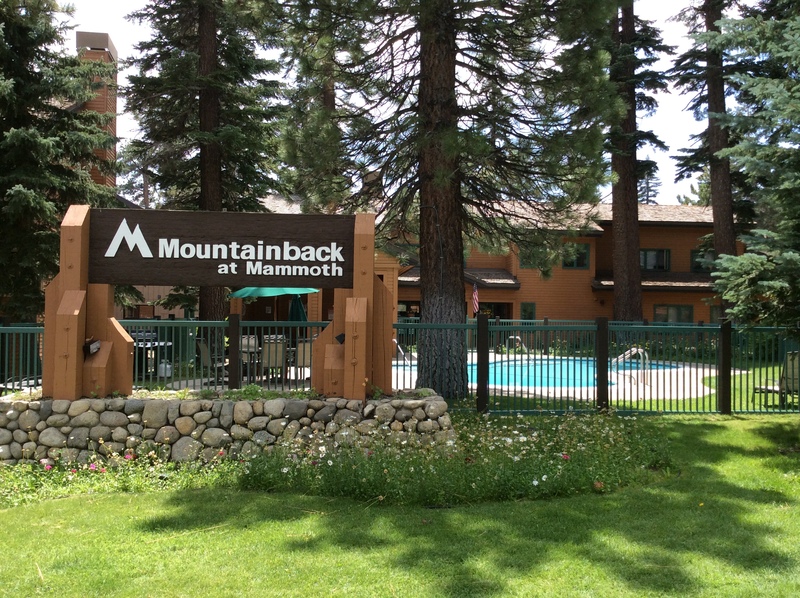 Mammoth Ski & Racquet is on the other side of a series of special assessments over the past few years for common area improvements to the decks, propane gas log fireplaces, repainting, etc. There has been a substantial rate of turnover for Mammoth Ski & Racquet condos from October 2013 until present. There have been 12 closed sales ranging between $155,000 for the studio/loft floor plan and $310,000 for the one & loft floor plan. Currently, there are a total of 5 active listings at the Mammoth Ski & Racquet complex ranging in list price between $269,900 and $319,750, all of which are the one & loft floor plan with two baths. Mountainback Condos for Sale Mountainback is a popular condo complex, particularly in the winter months when Canyon Lodge is open. 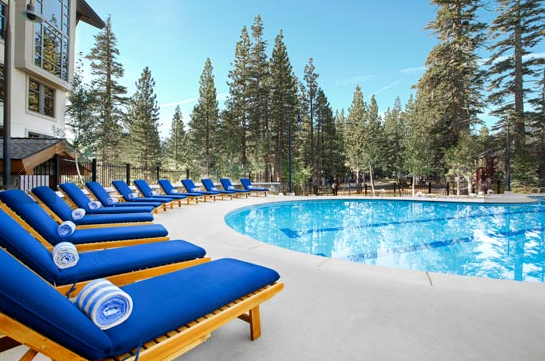 Just a short distance to the base of Canyon Lodge, this resort complex offers great amenities, such as a large swimming pool, sauna, multiple spas throughout the complex, and underground parking. There have been a total of 7 closed sales from October 2013 through present, ranging in price between $305,000 and $431,000 for the various floor plans. As of today, there are a total of 5 active listings ranging in list price between $287,000 and $489,000. In general, prices seem to be stable without significant increase or decrease. These condos offer spacious floor plans and provide a convenient location close to the ski slopes. Snowcreek Condos for Sale The Snowcreek development is located along the Snowcreek Meadow and golf course and consists of phases I – V with several hundred units and a variety of different floor plans. These are very popular rentals (year-round) and offer appealing wide open spaces with views. There are currently 17 active listings for all combined phases ranging in list price between $249,000 and $1,229,000, representing a variety of floor plans from a one-bedroom up to a 5+ bedroom townhouse. There have been 45 sales from October 2013 until present, ranging in price between $235,150 for a one-bedroom Snowcreek II condo up to $1,090,000 for a five-bedroom townhouse in phase V. There always seems to be a healthy demand for Snowcreek condos priced at market value. New listings that are priced competitively seem to go quickly. The Lodges Condos for Sale Located across the Snowcreek Golf Course from Snowcreek phase V condos, this luxury condo development borders the golf course and offers amazing views from many of the condos. All units have private garages and well-designed floor plans with high-end finishes throughout. Built in 2005, many of these were selling for almost double of what they are currently selling for. Prices seem to have rebounded well from the bottom of the market, which is especially apparent with the 2-bedroom plan 1 units. A bank-owned two-bedroom listing sold a couple of years ago for $470,000. This unit was on the golf course, which would justify a higher premium versus the interior units. Recent closed sales for the interior 2-bedroom condos have closed for $597,000, $620,000 and a pending sale listed for $625,000. This is significant price appreciation in a relatively short time. Currently, there are a total of 6 active listings at the complex ranging in price from $625,000 for a 2-bedroom floor plan up to $1,349,000 for a three & loft floor plan. With the quality of construction, high-end finishes throughout, excellent rental income averages and golf course location, these appear to be solid investments. The Westin Monache Condos for Sale From October 2013 until present, there have been a total of 17 closed sales ranging in price from $195,000 for a 2nd floor studio unit up to $675,000 for a 6th floor 2-bedroom condo with views to the South of the Sherwins and overlooking the pool area. As of today, there are a total of 6 active listings priced from $259,900 for a 6th floor view studio up to $825,000 for a top-floor 2-bedroom unit. Clearly, the 2-bedroom condos are listing higher, but there is obvious resistance to these significantly higher list prices. It would be hard to imagine that the top-floor 2-bedroom condo would be worth more than $25,000 over where the 6th floor 2-bedroom closed sale at $675,000…. It will be interesting to see where unit 740, currently listed for $825,000, will end up selling for. On another note, Mammoth has received some snowfall, which was mostly rain, even at the higher elevations of the mountain. However, the top of the mountain should have improved coverage and conditions just in time for the Presidents holiday weekend and ski week. So far, the town’s occupancy figures for the holiday weekend are at 85% and will more than likely climb to close to 100% as we approach the weekend. 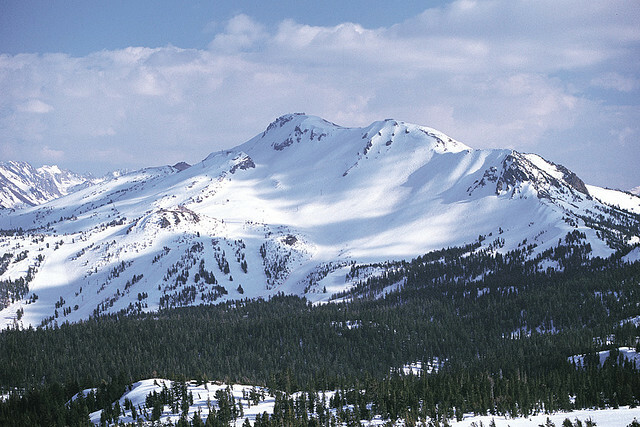 To schedule a showing appointment or to request additional information on any active listings available in Mammoth Lakes and June Lake, please feel free to contact me directly.